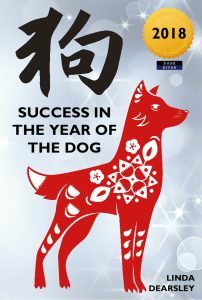 Welcome to the Chinese New Year of the Dog, which dawned (or dawns, if you’re the efficient type who plans ahead) on February 16th 2018 and runs right through to February 4th 2019. It’s a fresh start and there’s a brand new energy in the air – so what will the next 12 months bring to you? Will you end up with a pile of goodies stashed away, happy as a dog with two tails or just barking mad and dog-tired after a frustrating runaround? (Ok, enough of the dog metaphors but you get the picture). The great thing about Chinese astrology is that it can help you make the very best of the opportunities ahead. When you understand what to expect from the coming year, you can develop your own perfect strategy to make the most of it. Unlike our more familiar Western astrology which tends to view each New Year as a blank canvas on which the planets will paint their changing patterns as the months unfold, the Chinese New Year arrives with a distinct and individual ‘personality’ already formed – the personality of one of the 12 celestial animals that make up the Chinese calendar. It’s this ‘personality’, this special energy, which will influence the events ahead. And since many of the animals have wildly different characters – from the gentle, elegant rabbit to the bold, powerful tiger – each year is always quite different in tone from the year before. The 12 celestial animals have been rotating endlessly through the centuries – each getting their turn to rule, once every 12 years. So in 2018, the year of the Dog comes round again. But this isn’t just any old Dog year. Chances are, if you’re under the age of 60, you will never have experienced a year quite like this one. And even if you’re over 60, you were probably too young to recall very much about it, because 2018 is the year of the Earth Dog – or Brown Dog as it’s sometimes called – and the last Earth Dog year was 1958. Just as a boisterous Labrador is quite different in temperament from a shy Whippet (while sharing various basic doggie characteristics) so not all Dog years are exactly the same in character. Earth Dog years are reckoned to be particularly significant because Earth energy seems to suit the Dog’s natural personality very well. During a Brown Dog year, the Dog feels especially comfortable and at home, more confident – so we can expect to find the canine personality stamped even more powerfully on the year’s events. So what can we expect from the coming year? How will the Brown Dog affect the world in 2018? Qualities traditionally associated with dogs are honesty, faithfulness, a straightforward, down-to-earth approach and a need for a clear, established hierarchy. Dogs like to know where they stand and they want to keep their home and their pack safe. So, in 2018, there’s likely to be an increased yearning for stability and roots. Property, farming, land, territory, mining, and minerals will assume greater importance than ever. Religion, medicine, and back-to-basics, no-frills natural therapies will attract more interest, as will joining together in groups to achieve common goals. Dogs love their food of course, so catering, home-cooking, and TV baking shows are likely to become even more prominent as is organic farming and concern about the physical state of the earth itself, from the quality of the soil to the whole planet. The Earth element is also associated with mountains, so when it comes to holidays, people could find themselves strangely drawn to high places and alpine resorts instead of the beach this year. Since dogs are strongly concerned with family (their pack) – often in the form of hierarchy and knowing who’s ‘top dog’ – interest in Britain’s Royal Family is likely to intensify. With a royal baby on the way and a royal wedding taking place soon after, the Royal Family couldn’t have picked a better year. For the same reason, politics could also attract even more interest than usual with a stronger-than-ever focus on our political leaders. Two-faced, less-than-honest politicians had better take care; this year they’re likely to be found out. The dog doesn’t tolerate deception and double-dealing, and when the reckoning comes, it’s likely to be swift and unpleasant. Justice and fairness will be key demands in 2018. Along with political scandals, we could see big upheavals in the world of banking and finance. Security is taken seriously by dogs and in dog years so banking issues may come under the spotlight and again, any unfair, sneaky or dishonest practices will be rooted out and exposed to outrage and punishment. When they feel safe, dogs love to play, favouring uncomplicated, silly games, preferably out of doors; so, in 2018 we could see an emphasis on sport and frivolity and even children’s party games being adapted for adults. But, despite the desire for simple fun, there could be a cautiousness around spending. An unexpected instinct for stability is likely to see people look but hesitate to commit to unnecessary expenses. Down-sizing, simplifying, and a ‘less is more’ approach become prevalent. People may even feel drawn to start saving in the same way a dog buries a bone for future enjoyment. Although dogs are regarded as man’s best friend, they’re not necessarily a friend to every man. Threaten their pack or encroach on their territory, and you’re likely to discover just how sharp their teeth can be. The old saying ‘his bark’s worse than his bite’ doesn’t apply to every dog. Guard dogs can be ferocious and tenacious. This year we can expect snarls and aggression over territory and a powerful urge to build walls and defend borders. 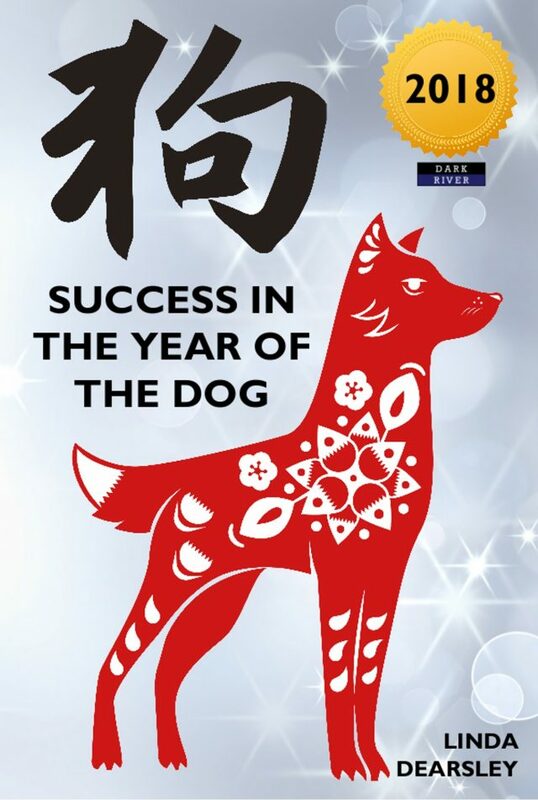 So, since 2018 is the Year of the Dog, how will you fare? Does the Dog present your astrological animal with opportunities or challenges? As the fable about how the years got their names shows, every one of the astrological animals is resourceful in its own special way. Faced with the daunting prospect of crossing the river, each successfully made it to the other side, even the creatures that could barely swim. So whether your year animal gets on easily with the Brown Dog, or whether they have to work at their relationship, you can make 2018 a wonderful year to remember. Chinese Astrology has been likened to a weather forecast. Once you know whether you need your umbrella or your suntan lotion, you can set out with confidence and enjoy the trip. To find your Chinese sign just look up your birth year in the table below.